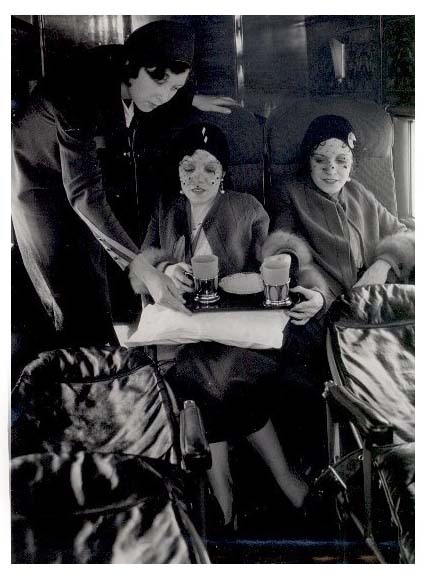 When Daisy and Violet Hilton, famed Siamese twins, purchased a ticket over Western Air Express from San Francisco to Los Angeles. The company was forced to install a special seat in the plane to enable the sisters to ride! A controversy among officials of the line was aroused when the connected twins turned in but one ticket, contending they were but one person. 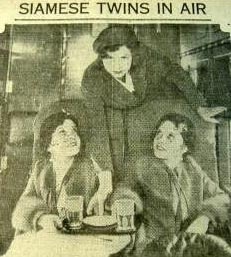 They are shown getting service in midair.